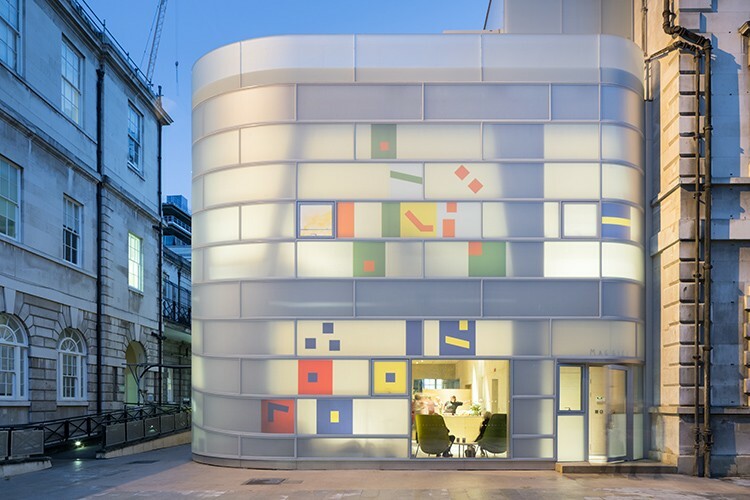 Maggie's Centre Barts has won Surface Design Show's Supreme Winner Award! 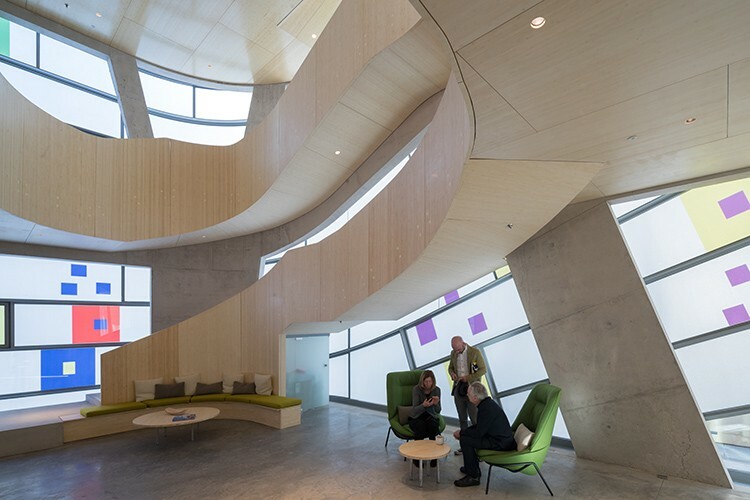 The Surface Design Awards recognizes examples of progressive design and the use of innovative surfaces and lighting in projects both in the UK and internationally. Across 13 categories, entrants to the Awards included Zaha Hadid Architects, Kengo Kuma & Associates, Chris Dyson Architects, and Rockwell Group. The building is envisioned as a “vessel within a vessel within a vessel.” The structure is a branching concrete frame, the inner layer is bamboo and the outer layer is matte white glass with colored glass fragments recalling “neume notation” of Medieval music of the 13th century. The word neume originates from the Greek pnevma, which means ‘vital force.' It suggests a ‘breath of life’ that fills oneself with inspiration like a stream of air, the blowing of the wind. The outer glass layer is organized in horizontal bands like a musical staff while the concrete structure branches like the hand. The special matte-glass exterior, which was developed in collaboration with Okalux, is juxtaposed against the surrounding medieval structures. The flat and curving glass panels are filled with Okalux fibers that insulate and create a textured, luminous translucency. Select panels were embedded with a colored film that creates blurred ‘Rothko-like’ fields of color, a kind of 21st-century stained glass. The interior character of this building is shaped by the colored light washing the concrete floors and bamboo walls, changing by the time of day and season. The colored lenses and the white glass create a dynamic yet peaceful play of glowing, warm light.